WLAN Speaker for everywhere usage. Maybe a the top of a shelf. Configure it with a Web-Browser or a Smartphone-App to set the Web-Radio Station, the played channel (L, R, Mono), the Equalizer and the Volume. 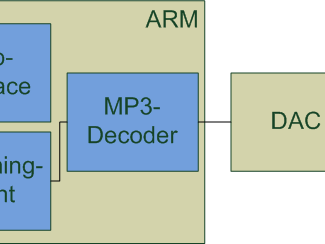 The Speaker should have an ARM to decode the Audio-Stream and create the Web Interface. 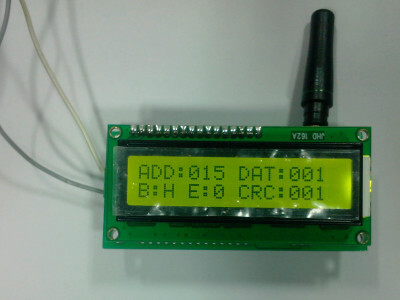 A smal Web-Radio-Server to transmit a Audio-Signal from a Cinch Input to the Web. Bei diesem Projekt handelt es sich um einen CAN-Bus, bestehend aus zwei Mega32, zwei MCP2515 CAN-Controllern und zwei MCP2551 CAN-Transreciever. Die beiden Mikrocontroller sollen über das CAN-Protokoll miteinander kommunizieren und Daten austauschen. 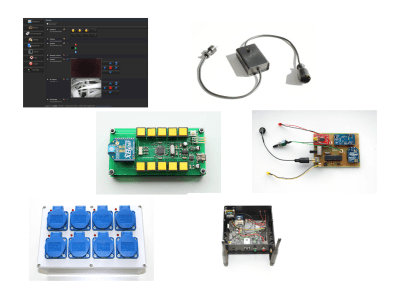 Dabei sendet der eine Mikrocontroller eine RTR-Anfrage und der andere Controller anwortet mit den richtigen Daten darauf. We have in our house a reverse osmosis water filter for filtering the tap-water up to drinking water quality. The filter fills a little reservoir of 25 liters. We used to manually turn on and off the tap of the filter, but of course, as it takes 4 hours to fill the reservoir, we usually forgot to close the tap, spilling lots of water. 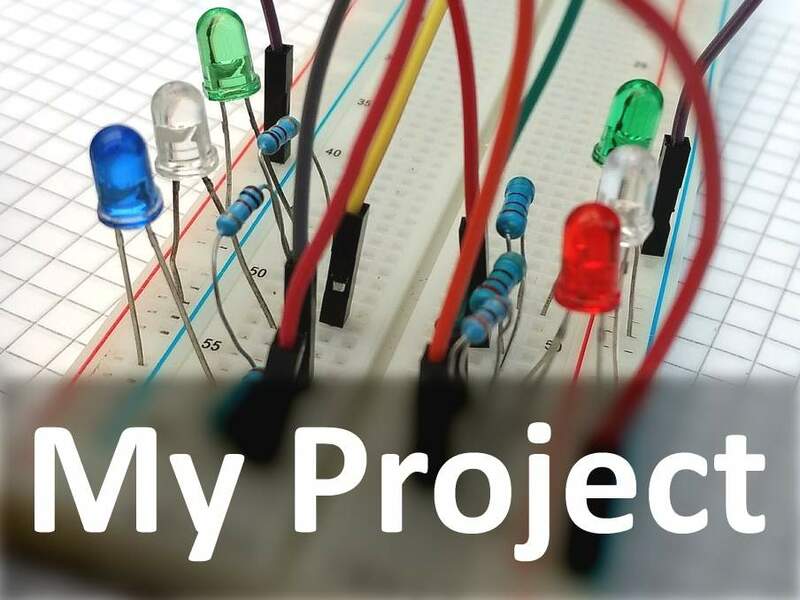 Presentation : This project is a simple Hang Man like game, running on the Linux Board.You will use the UART console to enter letters, and a simple add-on board with Tux LEDs shape will lighting according to your score. 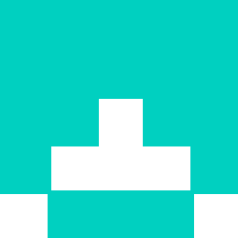 A small buzzer will ring when you lose the game.You will be able to upload or create your own dictionnary. Frequently there is a need to send data to a distant point without using a wired connection, either because the location’s infrastructure would not allow a twisted pair to link both extremes, or just because one or both of the connected circuits are intended to be portable, or simply wireless. Cette carte permet de tester rapidement des circuits à base d'amplificateurs opérationnels (filtres, oscillateurs ...). To my surprise, Elektor has already released the German variant of my article about the text compression I use in my OBD2 projects here: https://www.elektormagazine.de/articles/kurzgefasst-texte-fur-mikrocontroller-speicher-sparen-durch-kompression In the article it is mentioned that the source code of the compression/decompression is available in the Arduino project. This is not the case yet. It will be available before the magazine release of the article. I plan to release a version which is suitable for other projects, too. So, this still takes some time to make it more generic. A few days ago I could test IPT counters (OBD2 service 0x09, InfoType 0x08 and 0x0B) in a real vehicle. Unfortunately, this feature was broken in the OBD2-Analyser NG firmware due to a false __flash qualifier in the new OBD_Int2Str() function that came with the v1.11.0 release. So, the problem was not visible in the PC simulation and in the PC HHGui software. The problem also affects other AVR microcontrollers in the OBD2 for Arduino project: Arduino MEGA/MEGA2560. 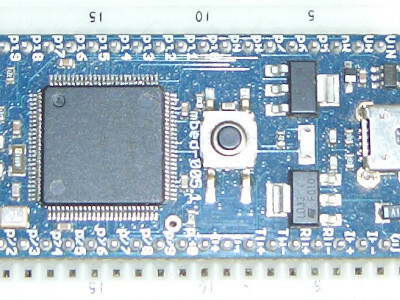 Arduino Uno R3 and Elektor Uno R4 are not effected since these do not support InfoTypes due to memory reasons. 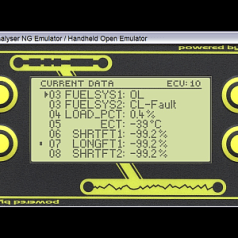 Changes: - recompiled all hhgui library variants to get the OBD2-Analyser NG firmware bugfix release v1.11.1 Installation of the bugfix: If you already have built the project for IDE 1.8.5 you actually just need to do the follwing steps: 1. replace the libraries in the HHGui Arduino project folder with the new ones from the HHGuiLibsIDE185_firmware1111.zip archive 2. rebuild the project with IDE 1.8.5 In the meantime I have compiled the software with Arduino IDE 1.8.7 which uses avr-gcc 5.4.0 for the AVR based boards UNO and MEGA. 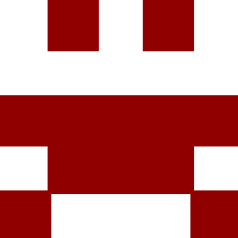 The toolchain used by the IDE was updated in the IDE 1.8.6 release. This does not work together with the HHGui libraries for UNO and MEGA built with avr-gcc 4.9.2 of IDE 1.8.5. The reason is a different format used for link time optimization (LTO). Compilation stops with an error message "lto1.exe: fatal error: bytecode stream generated with LTO version 3.0 instead of the expected 4.1". Elektor UNO R4 is unaffected since this uses avr-gcc 4.9.2 independly from the IDE version. Actually, LTO is just needed for the UNO and especially the Elektor UNO R4 where the firmware without LTO would not fit into the small Flash memory. Therefore, if you want to build the software for UNO R3 or MEGA1280/2560 under IDE 1.8.6 or IDE 1.8.7 or IDE 1.8.8, you need HHGui libraries built with avr-gcc 5.4.0. In this case, copy the relevant library from the HHGuiLibsIDE186_187_188_firmware1111.zip archive to the HHGui project folder. UNO R3 + Pi-OBD module: hhguilib_agv_atmega328x.a UNO R3 + DXM module: hhguilib_dxm_atmega328x.a MEGA1280: libhhgui_mega1280.a MEGA2560: libhhgui_mega2560.a Note: if you have replaced an UNO R3 library and you later want to build the project for Elektor UNO R4, you must undo this change.